I just finish drink this desserts.Feel so refreshing and sweet.....I like the taste of coconut water.As i say at last post my presure cooker can double-boil also.So,I using my multifunction pressure cooker to double-boil this desserts. 1 whole coconut - keep the juice,filtered it. 20g Hashima （雪蛤 ) - soak it overnight until it soft. 12pcs red dates （红枣 ) - remove seeds. 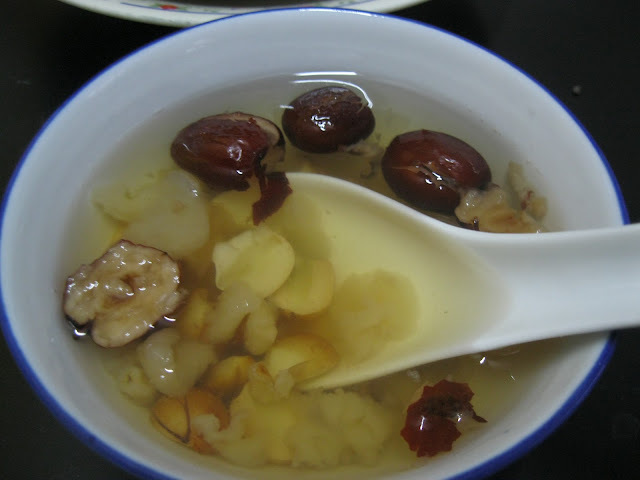 20gm lotus seed ( 莲子 ) - soak. 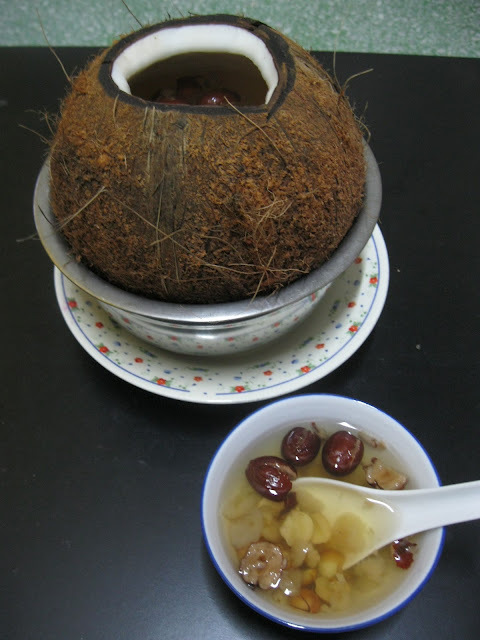 Open a hole on top of coconut,pour out the juice. 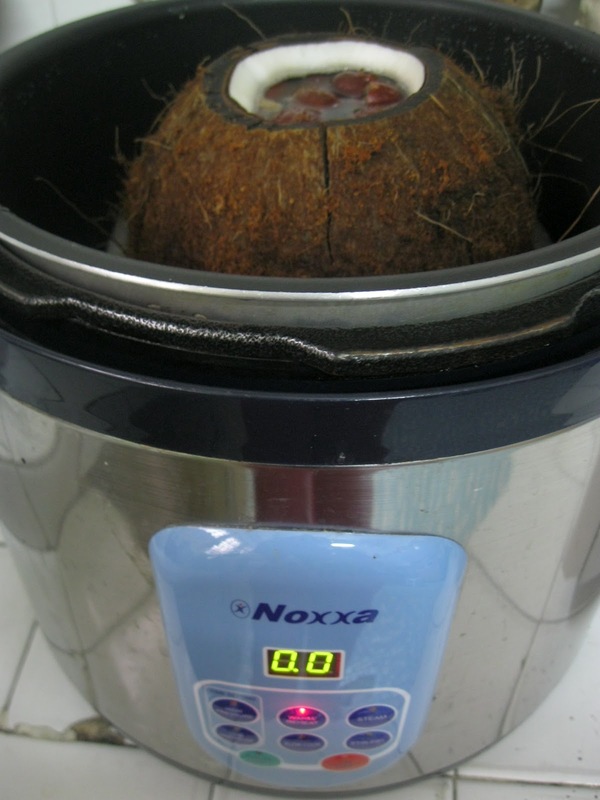 Put all the ingredients into coconut shell and pour 1 cup of the coconut juice and water until 80% full. Cover the coconut with the coconut lid. i buy at wet market.the coconut seller (chinese) open for me...i told him i want double-boil..
You are so good in making all this Chinese drink/herbal drink like that Almond drink, Kwai Lien Ko and now this. I am really not good in making this but only eat. Really good for you Hody. This drink is just perfect for this kind hot weather,,,somemore with coconut, just simply perfect! I am new to your blog and am keen to try out this recipe. Before I try this recipe, can i know how long do i need to double boil and which fire setting should I set if i use a pressure cooker? And this dessert is served warm or chilled? What kind of pressure cooker you using?my pressure cooker is multifunction,got double-boil function.I think the normal pressure cooker can not double boil.this dessert is serve warm.